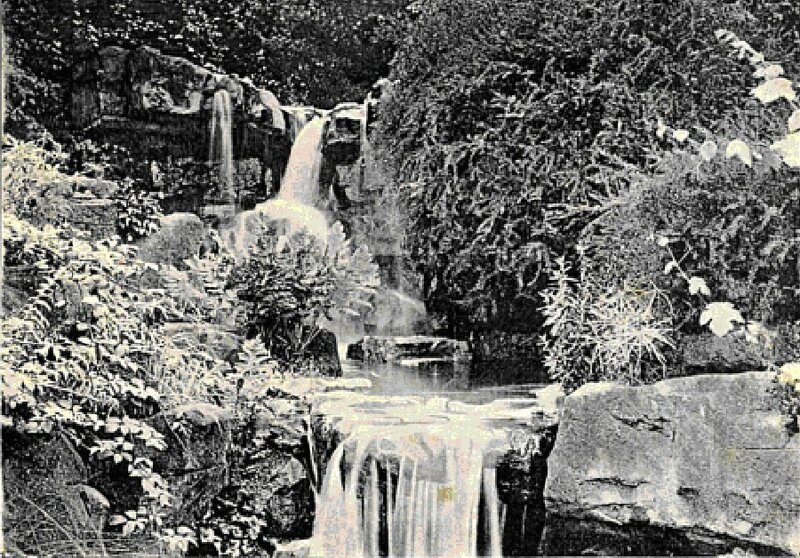 James Pulham and Son built ‘Waterfalls and rocky stream, with a Cave for a Shady Seat on the Peninsular, and in other parts of the gardens’, but only the rockwork and cascade on the lake peninsular now remains. Restoration undertaken by Wandsworth Council during 1980s was so bad that English Heritage decided that all future Pulhamite restorations should be preformed to required standard. A full description of James Pulham’s work at Battersea Park – together with a number of pictures – can be found in Chapter 6 of Rock Landscapes: The Pulham Legacy – the definitive story of the lives and work of James Pulham and Son. Written by Claude Hitching, with featured photography by Jenny Lilly. Published by Garden Art Press. Posted on August 22, 2014 June 26, 2016 by Claude HitchingPosted in Book ContentsTagged . . James Pulham and Son, Battersea Park, Claude Hitching, English Heritage, John Gibson, joseph paxton, pulhamite, rock, Rock Landscapes: The Pulhjam Legacy.